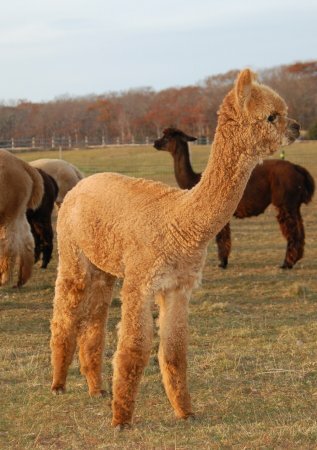 Cassiel won First Place for both the Southern Select Alpaca Show Spin-Off and for the CABA Spin-Off in 2013! Cassiel definitely lives up to his name (Cassiel is the name of the angel who watches the world unfold before him without interfering). 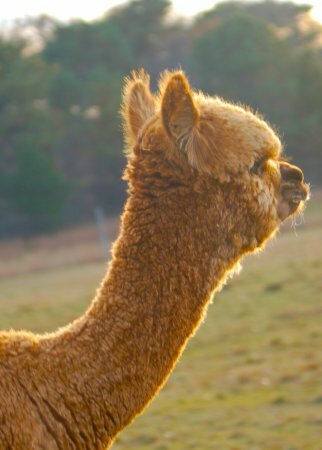 He likes to sit calmly watching the antics of the cria, and enjoying the Vineyard sunshine. Cassiel is a sweet boy with a sweet face. He is lovely and even-tempered, living up to his dam's sweet disposition and his father's excellent characteristics. 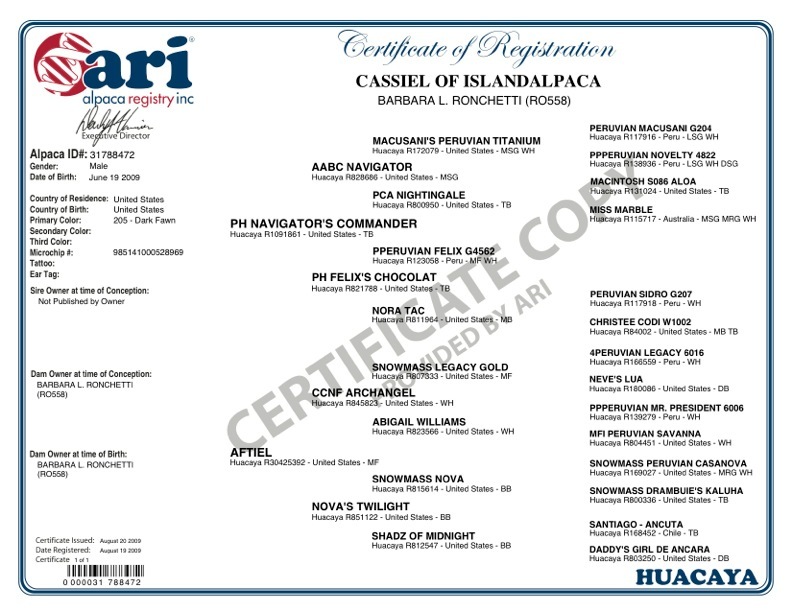 Cassiel has certainly inherited excellent traits from his dam, a daughter of CCNF Archangel, and his father, PH Navigator's Commander. 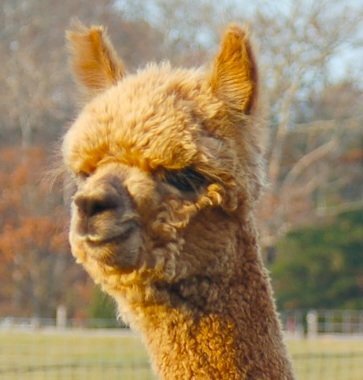 We look forward to seeing Cassiel's even disposition and beautiful fleece passed on to future generations- already Judge Wade Gease commented on his attractive sheen! Cassiel has impressed us with the amount of fleece he produces. 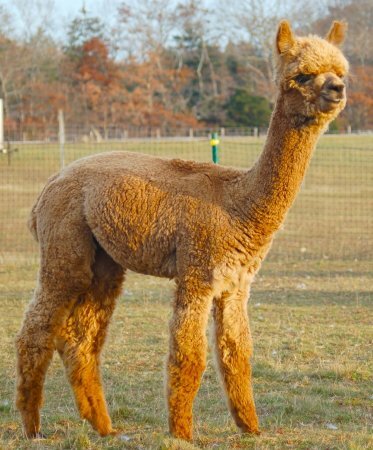 In 2011, 2012, 2013, and 2014 Cassiel sheared off over 10 pounds of fleece. Amazing! 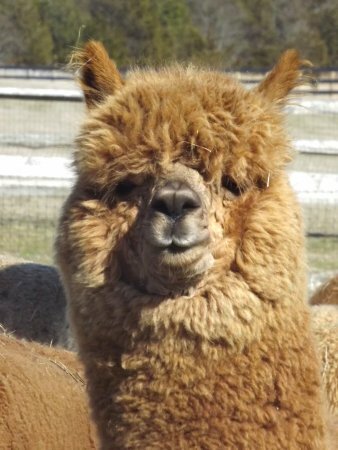 Judge commented on his fleece for the Southern Select Alpaca Spin-Off 2013: "Nice brightness and crimp. Uniformity of micron was consistent. Handle was soft. Drafted evenly. Spins consistently. No loss in degree of production. Very nice yarn. Yarn usability should be durable and flexible. Nice brightness again! Soft and bright!" 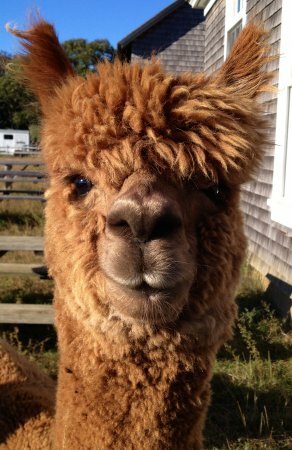 CABA 2013 Spin-Off judge comments: "This lovely fleece was a pleasure to spin and produced a luscious soft yarn." Judge's score card reveals 90 points! Amazing! 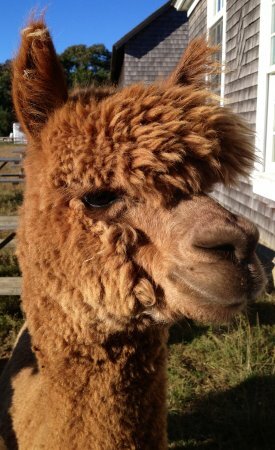 Cassiel of Island Alpaca is proudly sponsored by Sylvia Samelko as a gift from Wojciech Atkiewitz (Bronze Sponsorship through 09/17/2018) HAPPY BIRTHDAY SYLVIA! Parris Hill Farm's Navigator's Commander is a beautiful true black with an excellent fleece. This gentle and stately (solid) true black male is a real show stopper. Commander's grandparents, on both sides, have exceptional genetics AND lots of color. 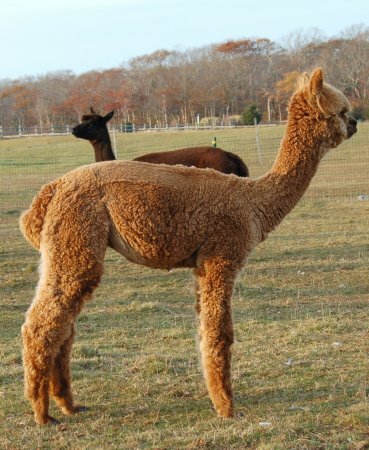 Commander's extremely soft, bright fleece exhibits very bold crimp similar to his dam and his half sister. 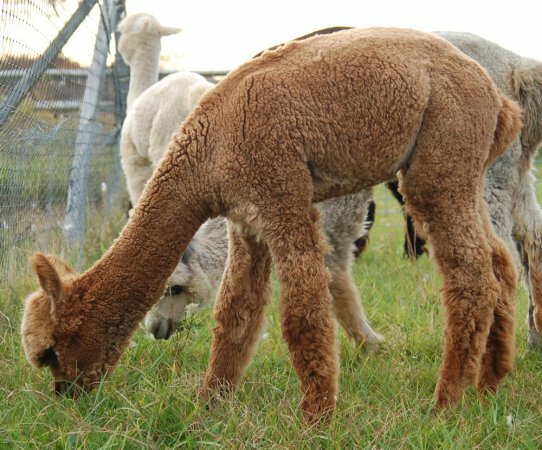 He has won multiple champion and blue ribbons (at the SEPA Alpaca Show, the Breeder's Choice Futurity, and the Empire Alpaca Extravaganza).